Safe enough to use with the bird still inside the cage! 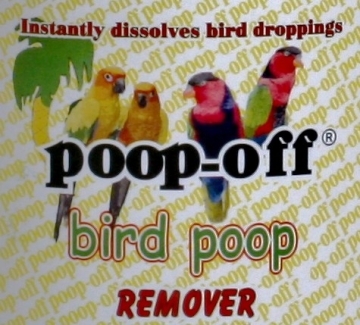 Instantly dissolves bird droppings nearly everywhere! The #1 selling bird dropping remover in the WORLD! Prior to 1994 the only way to remove dried bird droppings was to scrape it off with metal brushes. This method created micro dust of bird poop to inhale. 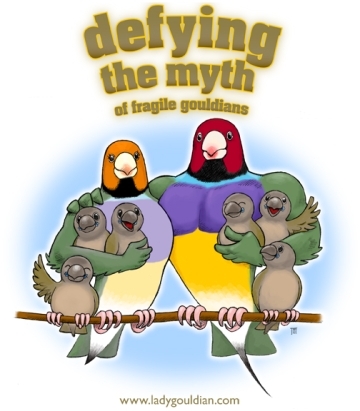 poop-off is the first liquid bird poop remover that instantly dissolves bird droppings and is safe enough to use with the bird inside the cage. Poop-off can be used to remove all bird droppings from clothing, bird toys, nest boxes, bird feeders, floors, carpets, pottery, monuments, upholstery, car seats, boat fabrics and decking. Check for color fastness on a small hidden spot before applying to complete area. Contains: filtered water, active enzymes, surfactant, and avian safe fragrance.